Shade is a common problem for many landscapes, leaving some people scratching their heads when it comes to figuring out what to plant in these types of areas. If you want to plant shrubs in a shady spot in your landscape, you have more choices than you realize. Whether you prefer flowering shrubs, deciduous bushes or evergreens, there is a shade-loving shrub that will fit the bill. Growing up to 10 feet tall and wide, the red osier dogwood (Cornus sericea or C. stolonifera) is a hardy shrub that blooms in flat-topped clusters of white flowers during late spring. In autumn, the red osier dogwood’s leaves turn purplish-red and its stems turn red through the winter. You can grow the red osier dogwood shrub in nearly any soil type as an individual specimen, as part of a border or privacy screen, or in a shaded bed. The red osier dogwood grows best in USDA hardiness zones 2 through 7, withstanding winter temperatures down to -45 degrees Fahrenheit. The gray dogwood (C. racemosa) is another good choice for a shaded area, growing to about the same size as the red osier dogwood and also blooming in creamy-white flower clusters. The gray dogwood tolerates most soil types but thrives in moist, well-draining soil. 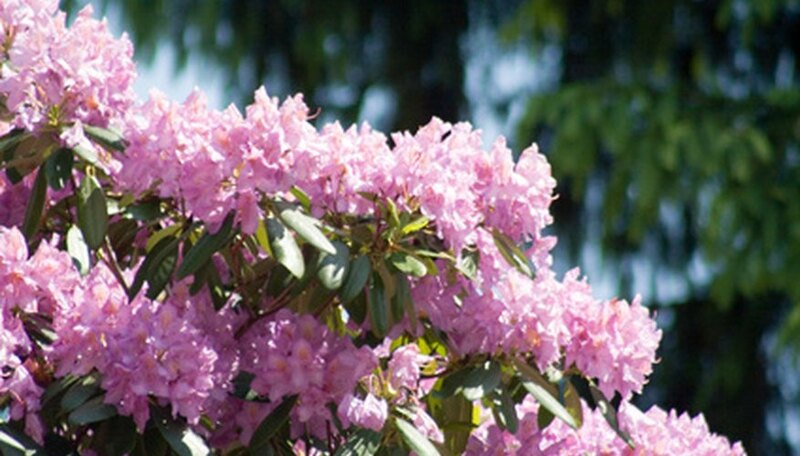 Rhododendron shrubs, including azaleas, grow 6 to 12 feet tall and wide, depending on the species. These shade shrubs can usually tolerate winter temperatures down to -15 or -5 degrees Fahrenheit and bloom in showy flowers that are often shades of pinks, reds, whites and purples. Some rhododendron species are deciduous, while others are evergreen and have large, leathery leaves. Rhododendrons are best for individual specimen plantings and borders, tolerating drier soils and high winds but preferring sites with moist, well-draining soil. The Japanese yew (Taxus cuspidata) is an evergreen conifer shrub that can grow 10 to 40 feet tall, depending on the cultivated variety, but can be pruned to a desired height. You must plant the Japanese yew in well-draining soil, but this shrub works well as a border or foundation planting, hedge or privacy screen. The Japanese yew produces red berry-like fruits on the female shrubs. The only caveat to planting this shrub is that both its foliage and seeds contained in the fruits are toxic. The Japanese yew grows well in zones 4 through 7, tolerating temperatures down to -25 degrees Fahrenheit. Reaching only 3 to 6 feet in height and spread, the oakleaf hydrangea (Hydrangea quercifolia) grows best in USDA hardiness zones 5 through 9 with winter temperatures dipping down to -15 F. This shrub produces pyramid-shaped clusters of white flowers during the summer months, which turn pinkish toward the end of summer, and the leaves turn russet-red in fall. The oakleaf hydrangea prefers moist, well-draining and acidic soils. You can plant this shrub as an individual specimen or as part of a low border. Growing best in USDA hardiness zones 5 through 9, the inkberry holly (Ilex glabra) is a broadleaf evergreen shrub that reaches 6 to 9 feet tall with a spread of up to 12 feet. The female inkberry shrubs produce black berry-like fruits that remain during autumn and into winter. The inkberry can tolerate wet, compacted and salty soils. 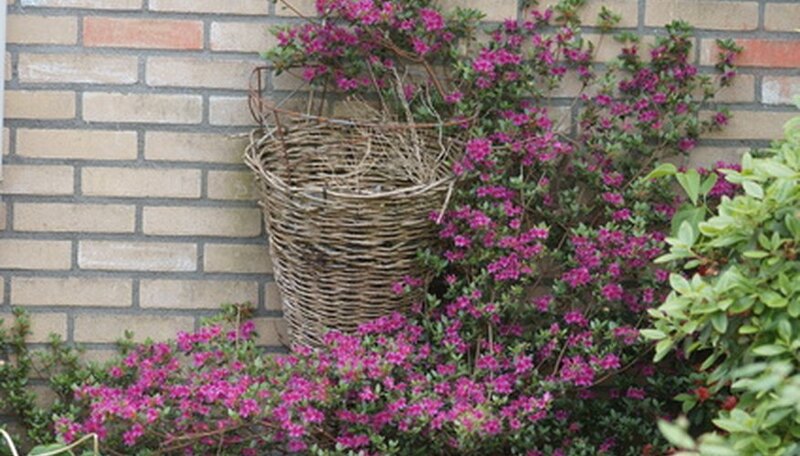 Plant this shrub as a border, hedge or mass planting. The only drawback is that you will need to plant a male and female inkberry shrub in order to get the female to produce the ornamental berries.